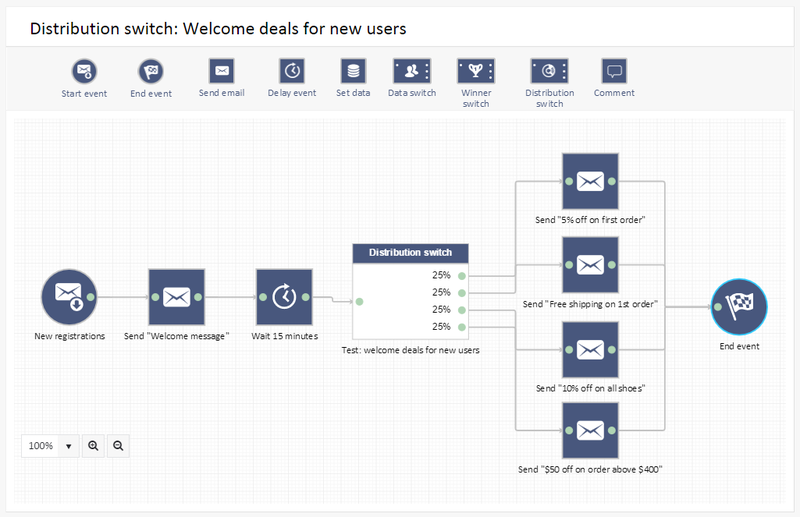 Email provider ExpertSender has recently added a new feature called Workflows to their email marketing platform. The new functionality facilitates the process of executing complex email marketing campaigns. Through a visual Marketing Automation Builder it allows marketers to automate customer/subscriber life cycles according to the predefined sequence of events. ExpertSender users could always automate based on business rules and advanced segmentation before, but now more functionality is presented. The segmentation can be used in workflows as well to make advanced process possible. The feature’s interface visualizes the logic behind any sequence of email marketing events. Marketers can place drag and drop building blocks on the workflow canvas. The blocks are interconnected in sequence of the order they should execute. Each block represents either an event in the form of an activity (eg send a mail) or a decision point (and / or, yes / no) within a workflow. Here are two examples of the workflow canvas drawings. 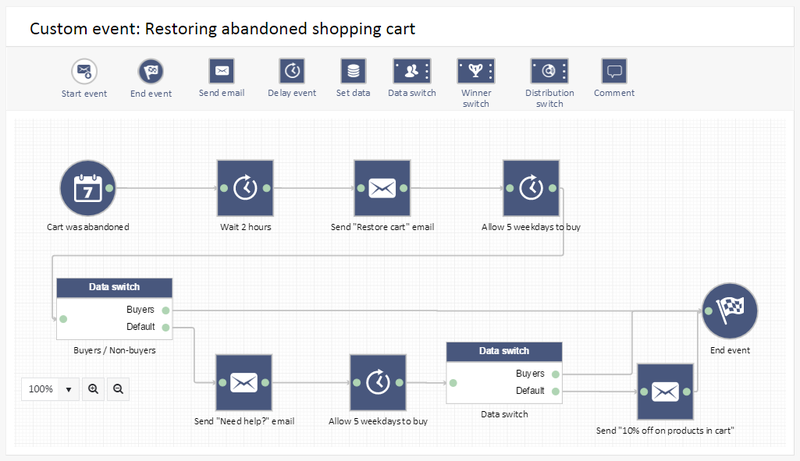 It is an Abandoned shopping cart Workflow and a Welcome email deal workflow. (click to show full size). The user can drag and drop these building blocks onto the workflow canvas. Each block is an event that indicates an activity or a decision point within a workflow. The blocks need to be interconnected to indicate the sequence in which they should execute. The new feature helps bring a process from idea to an automated workflow within email service provider’s environment. It can be used for automating any email marketing scenario – from simple follow-ups to complex multilayer schemas. ExpertSender Workflows are available for all current and new clients without extra costs as a part of the standard ExpertSender offering.